Fire Commissioner Jose Santiago said the blaze ignited just before 4 a.m. 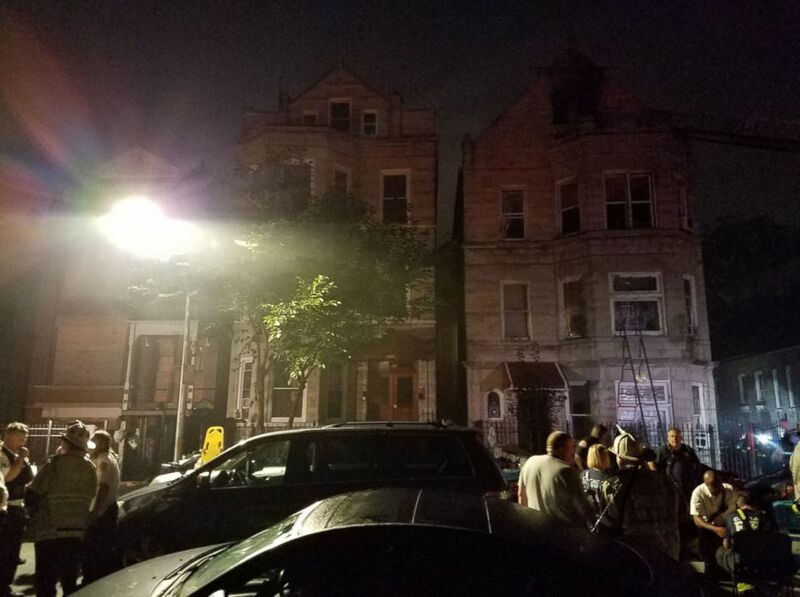 Eight children were killed after a fire sparked in an apartment building in Chicago, fire officials said. The blaze ignited just before 4 a.m. on the second floor of a building on South Sacramento Avenue, according to Fire Commissioner Jose Santiago. The first call to authorities came when a woman who came home from work smelled the fire, he said. 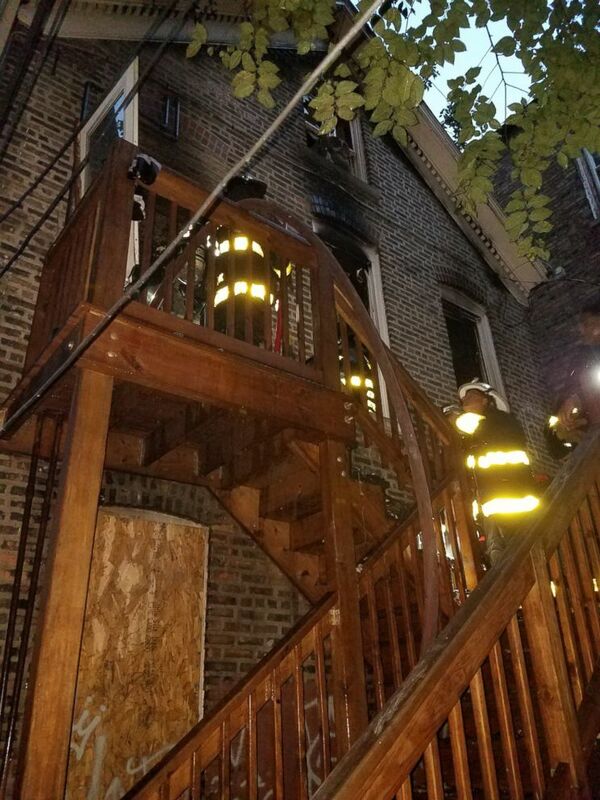 (@CFDMedia/Twitter) A fire in Chicago killed 8 people, including 6 children, on Aug. 26, 2018. The unidentified woman "started to warn people" to get out of the building, Santiago said. When firefighters arrived, they found victims on the second floor, officials said at a news conference Sunday. The children that were killed ranged in age from 3 months to 16 years old, ABC station WLS in Chicago reports. "Once they got inside the structure, they started to find civilians," said Fire Chief William Vogt. "They started moving civilians out as quickly as possible." The firefighters battled the blaze while evacuating residents, officials said. 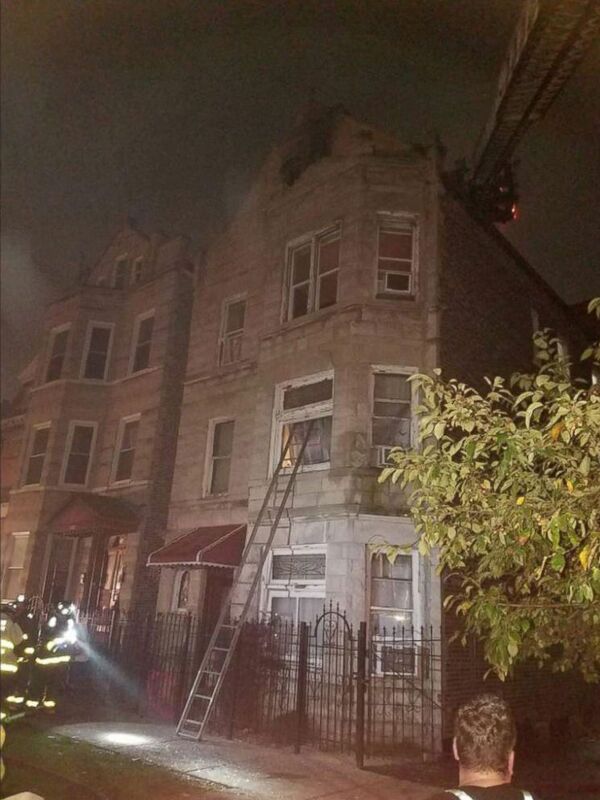 The fire began in the rear of the building, Mayor Rahm Emanuel said in a statement. The exit to the front of the building was clear, "but without working smoke detectors the occupants were not awakened in time to get to safety," according to the mayor's statement. "The firefighters worked aggressively," Vogt added. "We had everybody out of the building as quickly as possible." But the victims who died were already in bad shape by the time firefighters arrived, Vogt said. "Unfortunately ... we didn't have time ... they succumbed to their injuries before we got there," he said. The identifies of those victims have not been released. Two other people, a teenager and an adult, were also transported to a local hospital, officials said. Their conditions were not immediately known. "We all pray the two living victims will make a recovery despite the odds," Mayor Emanuel said. Investigators didn't find any smoke detectors in the building.